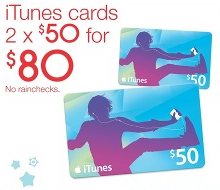 Purchase 2 $50 iTunes Gift Cards for $80 saving you $20! 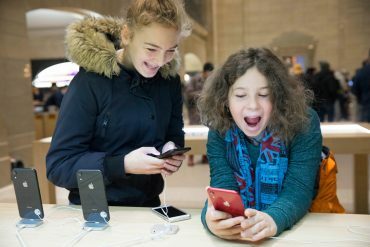 iPod Touch Bundles are on again! 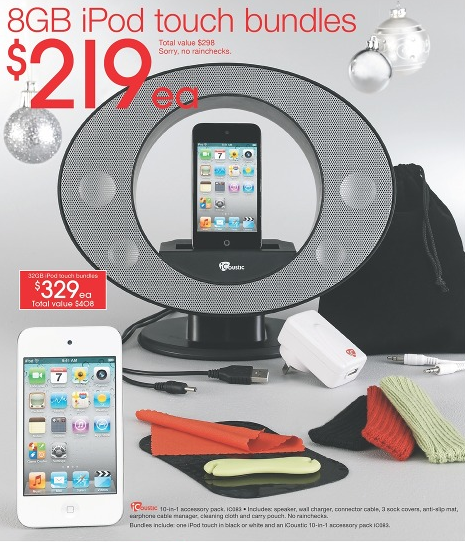 Bundle includes 10-in-1 accessory pack for your new iPod Touch! 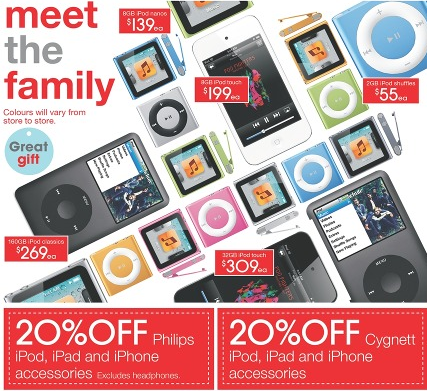 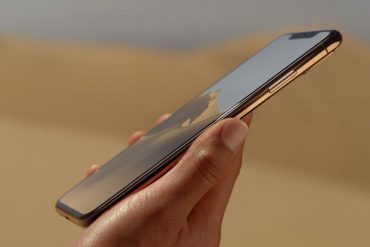 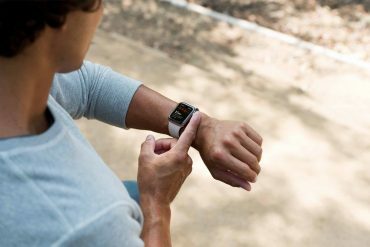 Target have 20% off Philips and Cygnett iPod, iPad and iPhone accessories!